“How much SEO will I need to do to make sure that I’m on page 1? To make sure I’m on top? To make sure I can dominate the market?” That is a question that we’re asked all the time but the answer is not an easy one to give. One way we to help clients understand what is needed to rank at the top of Google is to get them to understand that their SEO is like a race that they are in. But not just any race. A race that has three levels of competition. Low competition, medium competition and high competition. Let’s assume you are middle-aged and you enter a race with a group of seniors at a retirement home. A number of the racers will be moving slowly, some might have a cane, and some may be using walkers. Competition level is very, very low. So, what does that mean? It means that you have a pretty good chance of showing up and being number one. This of course is not a guarantee but the odds are leaning your way. The same can be said if there is little to no competition for your business in your area. As long as you are showing up (on Google) then there is a simple strategy to get you to the top. It’s very similar with SEO. If your competition is sort of competitive, and by competitive I mean that they have an online marketing strategy, they are adding new content to their site regularly then you will have some stiff competition racing you for the top coveted #1 spot. However, a little bit of mid-level SEO and you can kind of stay with the pack, You’re not going to be the top of the pack. You’re not going to win this race, so to speak, but you’re going to be able to stay with the group, mixed in the middle. If you’re okay with being clumped in the middle with a group of competitors, then a mid-level SEO campaign is for you. Now, let’s say you show up to this race, and everyone there is from the track team, except for you. You’re in cut-off shorts and flip-flops. You look like you are in shape but there is no way you are prepared for the race you are about to enter. You’re not prepared for this; you haven’t stretched, you don’t have the right gear. Everybody else is in proper running gear. They’ve prepared for this race. They’ve stretched it out. You’re probably looking around and you’re getting worried. You’re thinking, “oh man, this is going to be embarrassing. I’m going to be dead last.” However, just like your website, you still put your best foot forward and you still line up at the starter’s gate. Well, I probably don’t have to tell you what will happen. The race in this case is as soon as a highly searched term is entered into the search bar on Google, Bing, Yahoo, those who have prepared for this search and have kept their website in good shape, and have actively been trying to get better; they’re the ones who are going to show up on page 1. If there is enough competition, and you are done some due diligence then you might show up on page 3, or 4, or 5. Not everyone can be in the number 1 spot. Only one website can finish in the number 1 spot. Everyone else is behind the leader. You have to ask yourself, where do you want to show up? Where in this race do you feel confident and competent to show up? Is that a place you are happy with? Is your competition heavy? Is your competitors are aggressive and competitive about being in the number 1 spot, and you are not? If so, then, sad to say, but you’re going to show up, dead last. In fact, you might not even show up at all. In SEO there will be other websites that haven’t even prepared for this race that will show up in front of you. These will be directories, blog posts, 3rd party site etc that could show up in front of you. Think of it this way. Imagine you are back at the very competitive track meet. The one that you didn’t prepare for. Image as you line up a high-jumper comes over and lines up and then a basketball player. Not traditional runners but still in enough shape to beat you. That is the competition you need to watch out for because let’s face it. If you haven’t prepared then you could be beaten by someone who is in completely different sport than you but still athletic enough to beat you. This is what we would call non-direct competition that is placing in front of you in the Google SERPs. When non-direct competitors finishing in front of you. That’s how you end up on page 5 on Google, or page 6 of Google. Simply put. You were not prepared. You’re not ready for this and everyone else who is showing up in front of you has prepared. So, you have to ask yourself, where do you want to show up in the search results? How much training are you willing to do to be the best? How much are you willing to do for more business? How much training are you ready to do to be an authority in your space? Before you start getting all nervous on me, you need to start by seeing how much competition you are going to have before you know how much work you are going to have to do. How do I Know how much SEO I will need? There are a few things that determine this. Mainly, how much competition there is and how prepared the competition is. Imagine for a moment that you sell non-dairy, almond milk, ice cream cones. I would say that in most cities you would have a unique product. If you have the only business in your city selling non-dairy almond milk ice cream cones then the competition online for your product would be very low. If you’re the only business and people type in “almond milk ice cream cones,” well, congratulations, you’re might be number 1. You will still have to ensure your website is structured properly. That you have indexed your site with all the major search engines. That you have dedicated pages on your website talking about your product and that you have images that are also optimized. Oh, and your Google My Business is setup properly so that your product and city are well defined, of course I am over simplifying it, but beyond that, you don’t have to worry about much more work than that. 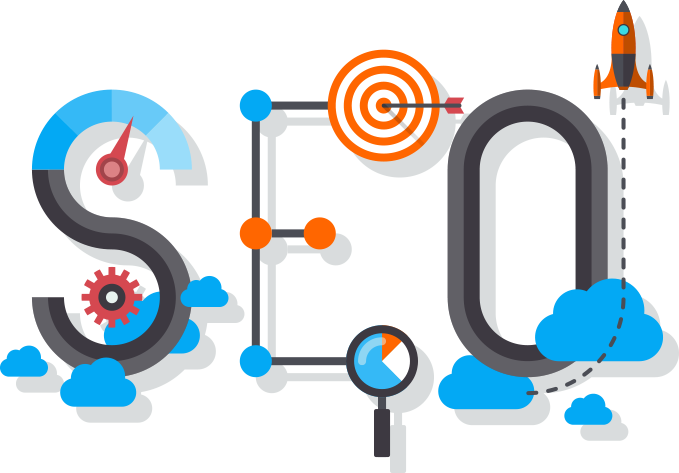 Low level SEO package will suit you just fine. Well, now there’s a competition of 10. It’s going to be a little bit harder. You may end up in the middle of the pack, because you’ve got some strength with the due diligence you have done to your site ahead of time but due diligence alone is not enough to out pace 10 other competitive businesses. Everyone wants to be number 1. Everyone is working hard to out pace you. In this case, a mid level SEO strategy would keep you competitive. Now, let’s say people are just looking just to buy ice cream. Every corner store sells ice cream, every convenience store too. Every grocery store sells ice cream. What does that mean for you and your competition? It means that competition just got a lot harder. You might be thinking the grocery stores do not specialize in ice cream like you do. The corner store does not specialize in ice cream like you do. But Google isn’t looking to see who specializes in selling a ice cream, they are looking to answer a search query “Where can I buy ice cream in (your city here)”. That means the competition just got a lot harder once again, and you have to do a lot more than just having a page on your almond ice cream to resonate through that traffic. This is why you need to understand who your consumer is and how they are searching online for your product. Not everyone searches the same way. Not all of your customers will search for “almond milk ice cream cones”. Identifying how your customer is searching for your product, and how many times they are searching for it is part of the “getting your site in shape” that online marketers do for you. Also, understanding who your competition is will help you out tremendously. Your competition isn’t always as noticeable as you think they are. They could be selling a product that is similar but different to yours in some way but Google has identified them and you in the same Keyword Search terms. It is going to come down to who is the best prepared and who is ready for this moment, to be the number 1 in Google search. That is essentially what you want to aspire for. You want to be number 1. If you’re not number 1, then you are losing a lot of business. If you cannot be number 1 in the SERPs (search engine results pages) then you at least want to be on page 1. So, to circle back to how much preparation do you have to do? It all comes back to what does your competition look like. You need to be able to find who your competition is. Start doing basic searches online. Find out who shows up for the search that you would put in to find your company. Again, if you are selling ice cream, if we can revert back to that, then you can put in “where to buy ice cream in (your city).” “who sells ice cream in the city,” “best ice cream in (your city,)” “dietary ice cream in (your city,)” “ice cream cones in (your city),” and so on, and so on. Not everybody will search the way you search. You search the way you search and that makes you unique. That’s the same thing that makes everybody else unique. They will all search the way that they want to search. So, put in a number of different search terms. Try to find your website. It doesn’t matter if you have to go to page 10 to find it, just find it and find out where your site is sitting. That’s going to determine how much work, how much SEO has to be done to get your website from where you are to where you want to be. Trust me, once you get to page 1, once you get to that top 3 positions then business increases, submission forms increase, and sales increase. That is why you want to ensure that your website is fully optimized to the best that it can be. Match your SEO campaign with how competitive your space is, and you too, will come out on top. If there’s anything that Smashing Pixels can do to help you succeed, please let us know. Our goal is to work with you to reach your goal to help you succeed. I hope this article has enlightened you a little bit on why you need SEO and how much SEO you need. For more information on cost and prices, please drop us a line.